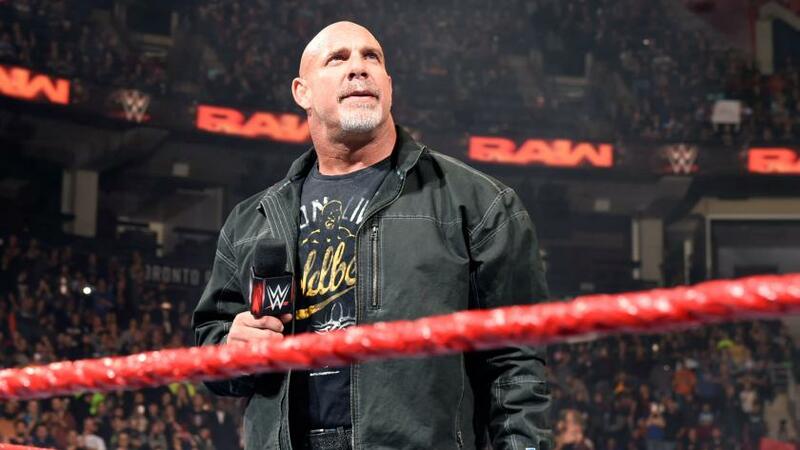 Goldberg opens the show, announces he’ll be in the 2017 Royal Rumble Match. This isn’t the route I thought they’d take with Goldberg at the Rumble. But just having Goldberg on the show is a hell of a selling point. This is likely an indicator the rematch with Brock will take place at Wrestlemania. That’s not what I was hoping for, but I suppose it’s fine. I continue to be very pleased with how these crowds have received Goldberg. He’s still a bigger star than almost anyone they have. I suspect one of the reasons he’s such a breath of fresh air is that he’s not handcuffed by the awful dialogue they give to most everyone else. He comes off like a real person. Imagine that. The New Day def. Cesaro & Sheamus to retain the Raw Tag Team Titles. Nice way to further the story here. The New Day cheat to win, ergo “Shesaro” is in line for another title shot. Cesaro had a great showing here. Those two awesome catches, and then the extra-long big swing turned into a Sharpshooter. I’ve said it before, and I’ll keep saying it: How he’s not a bigger star is beyond me. 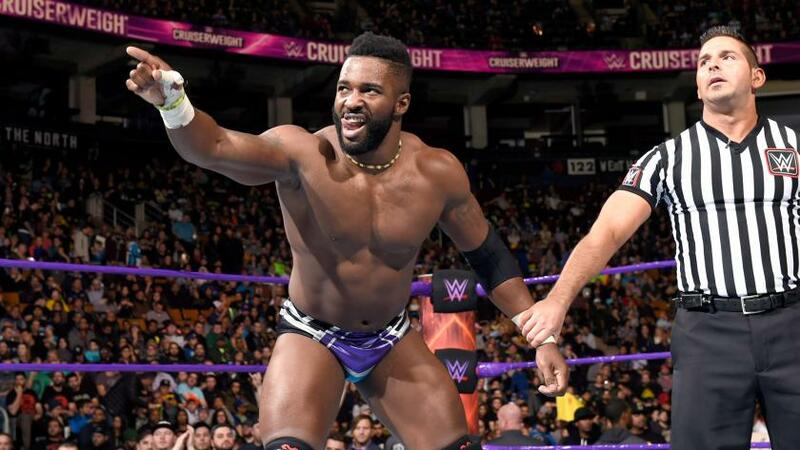 For my money, Cedric Alexander remains the stand-out of this new Cruiserweight Division. Hopefully this new 205 Live show will help us get to know him a little bit better. That Lumbar Check is awesome. Great sell by Daivari. Chris Jericho and Kevin Owens get bromantic on the Highlight Reel. I’m losing track of who the heels and babyfaces are. On paper, Jericho and Owens are the bad guys. But Jericho is hearing mostly cheers these days, and that Toronto crowd did not want to see the so-called “best friends” break up. And when they simultaneously said Roman Reigns was to blame for the Survivor Series loss, the place erupted. These guys are the most consistently entertaining aspect of Raw these days, and it’s becoming harder and harder to boo them. This was a good segment. Owens and Jericho were having fun out there, and so were the fans. On the other hand, poor Roman can’t catch a break. Rusev def. Enzo Amore. That naked Enzo pre-tape is another thing I think the Toronto crowd helped. They were so excitable they bought into what might have come off as another bad comedy segment. Not much of a match. But at least Rusev got a win. They’ve got some rebuilding to do with him. Luke Gallows & Karl Anderson def. Golden Truth to earn a tag title shot next week. This one was a dud, for my money. It was pretty obvious who the winners would be, so the whole thing dragged. The news peg here is that the New Day will apparently be defending the tag belts often as they get closer to breaking the Demolition record. I think it’s a solid bet that they do it. At the very least, they’re not going to lose the belts to Gallows and Anderson. Braun Strowman def. Sami Zayn via referee stoppage. Here’s the good news about Braun Strowman: He’s extremely credible, and people are starting to buy into him. The bad news? He may not know his own strength. Everything this guy does looks like it hurts, most likely because it does. Sami certainly earned his underdog reputation here, and he played his part perfectly. Sasha & Bayley def. Charlotte & Nia Jax. Sasha Banks to challenge for Raw Women’s Title next week. I’ve stopped trying to guess what their plans are with Charlotte and Sasha. I was wrong when Sasha won the belt on Raw the first time, I was wrong at Summerslam, I was wrong at Hell in a Cell. If I made a prediction, I’m sure I’d be wrong anyway. Nia Jax had a great line to Sasha in this segment: “Listen little girl, you’re gonna learn that when you stand next to me, you are not the boss.” Her delivery was strictly okay, but the dialogue itself worked. On the subject of Nia, I was shocked to see her tap out at Survivor Series. Nice little moment for Becky Lynch, though. She’s the first lady to beat Nia on the main roster. Rich Swann def. TJ Perkins and Noam Dar to earn a Cruiserweight Title shot on the premiere of 205 Live. No surprise here. WWE has been grooming Swann for this. I don’t see him winning the belt, but it’s a big match for him. Much respect to these guys for kicking the crap out of each other. Especially that one from Perkins that landed right on Dar’s cheek. Ouch. Kevin Owens def. Seth Rollins in a no-disqualification match to retain the WWE Universal Title. A really solid main event. You look at a match like this, and you realize what a shame it is they didn’t turn Rollins babyface when he first came back. He performs at such a high level, and he’d be getting such better reactions if they’d just gone for it. And yes, that appeared to be a Sin Cara mask Jericho was wearing. That’s a nice little wink, isn’t it? This entry was posted in Wrestling and tagged Ariya Daivari, Becky Lynch, Bill Goldberg, Braun Strowman, Brock Lesnar vs. Bill Goldberg, Cedric Alexander, Cesaro, Charlotte Flair, Chris Jericho, Chris Jericho's Highlight Reel, Enzo Amore, Golden Truth, Karl Anderson, Kevin Owens, Luke Gallows, Nia Jax, Noam Dar, pro wrestling, professional wrestling, Rich Swann, Roman Reigns, Royal Rumble match, Rusev, Sami Zayn, Seth Rollins, Sheamus, The New Day, TJ Perkins, Toronto, WWE, WWE 205 Live, WWE Monday Night Raw, WWE Raw, WWE Raw results, WWE Royal Rumble, WWE Royal Rumble 2017, WWE Survivor Series, WWE Survivor Series 2016, WWE Survivor Series results on 11/22/2016 by primaryignition.